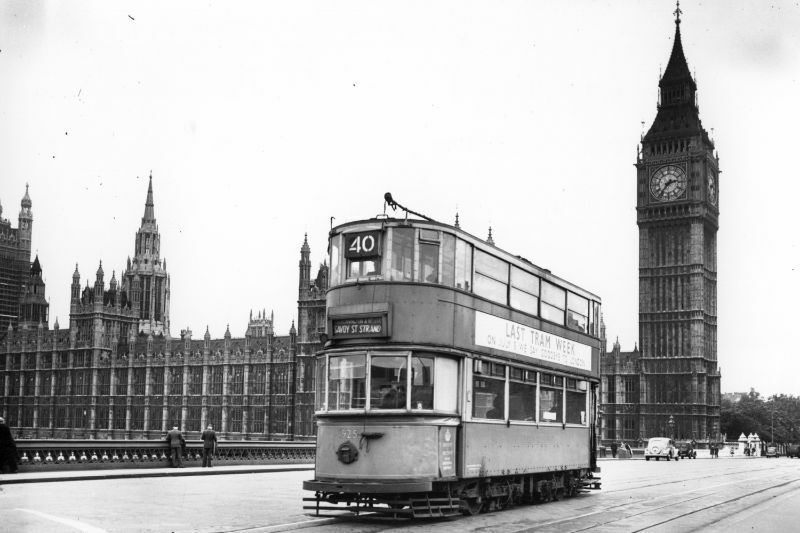 What would you do if London buses went out of service? 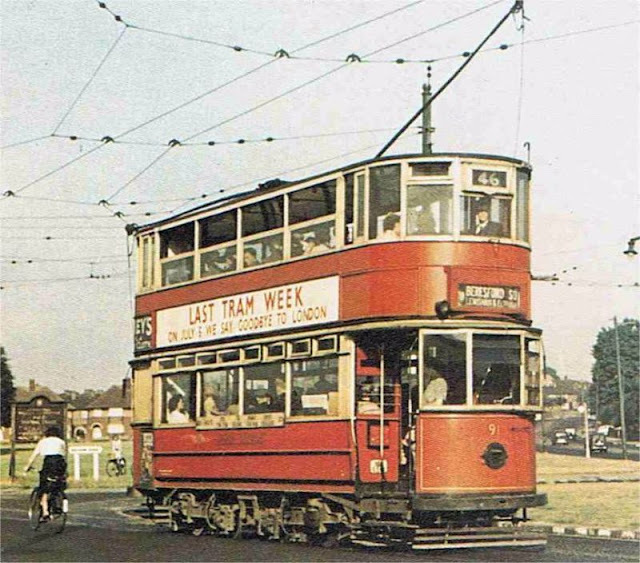 Terrifying thought isn't it? 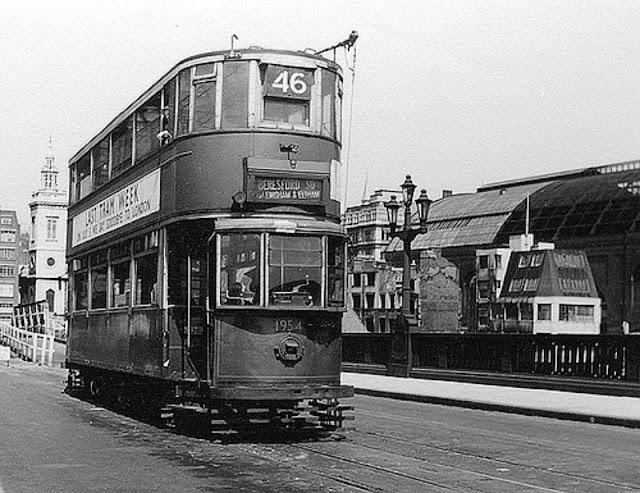 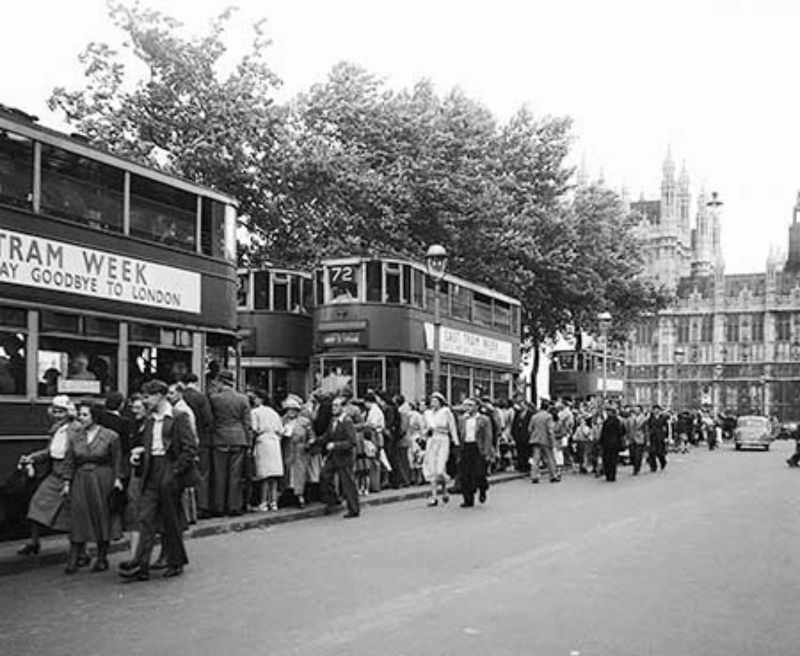 Well, on July 6 1952 London’s trams ceased being a convenient form of transport across the capital and became a piece of history. After nearly a century of service the tram has made its final appearance in London. 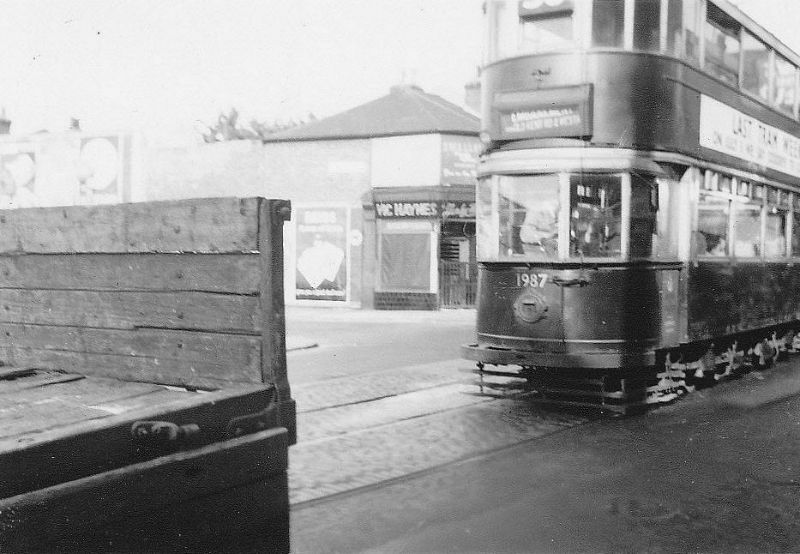 The very last tram to rumble along the capital's streets arrived at south-east London's New Cross depot in the early hours of this morning. 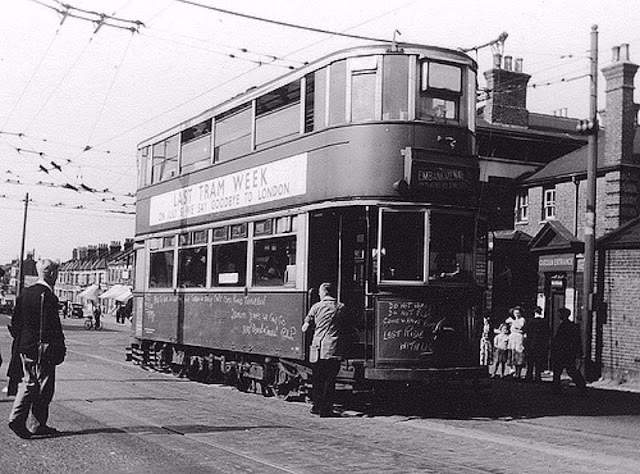 It was driven by John Cliff, deputy chairman of London Transport Executive, who began his career as a tram driver. 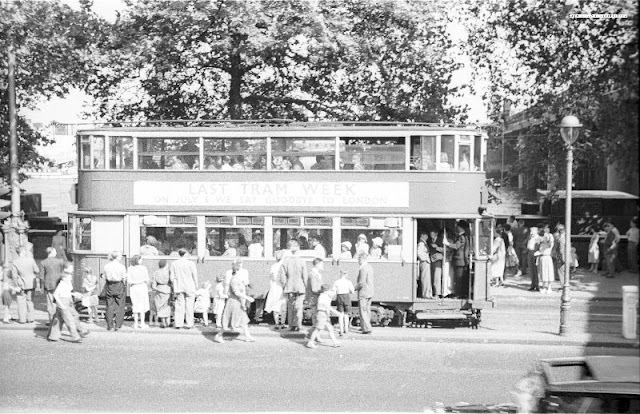 Trams have carried banners all week proclaiming "Last Tram Week" and special tickets carrying the same message have been produced. 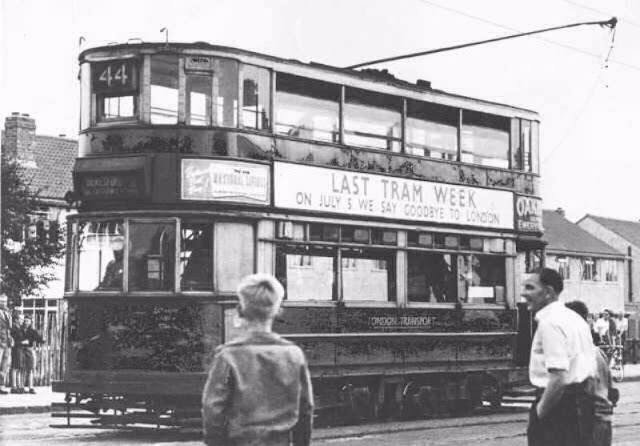 Conductors punched souvenir tickets and enthusiasts drove or cycled alongside the tram - car number 1951 - for the duration of the journey. 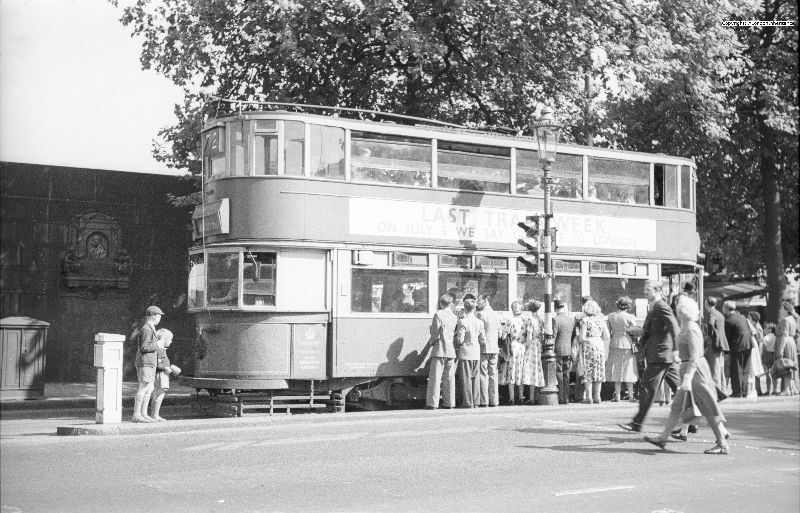 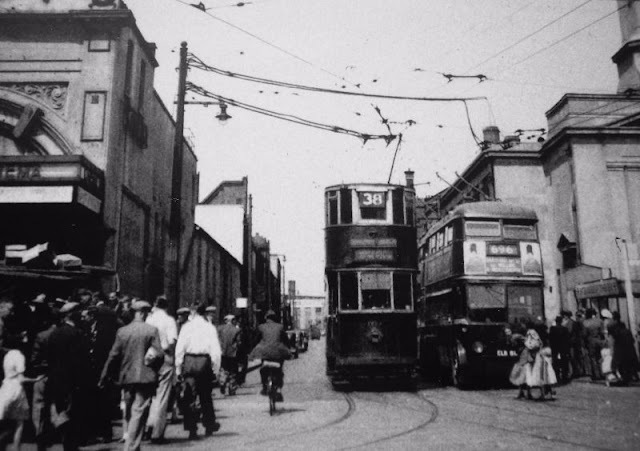 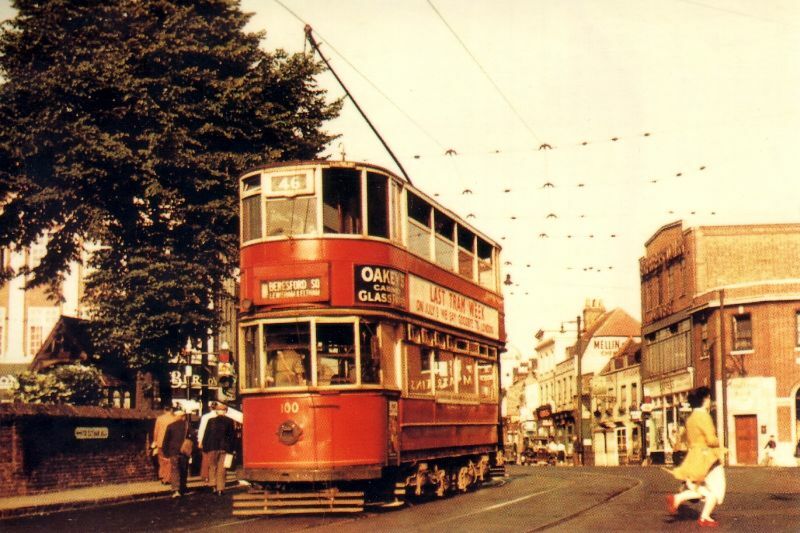 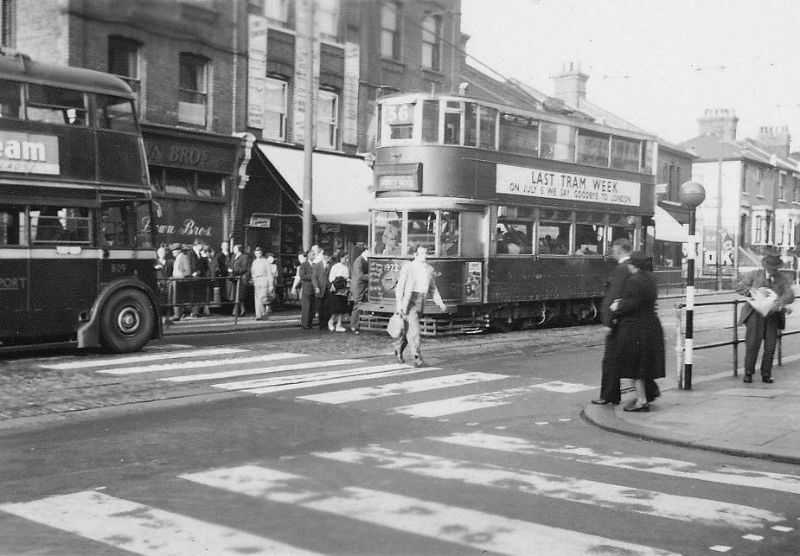 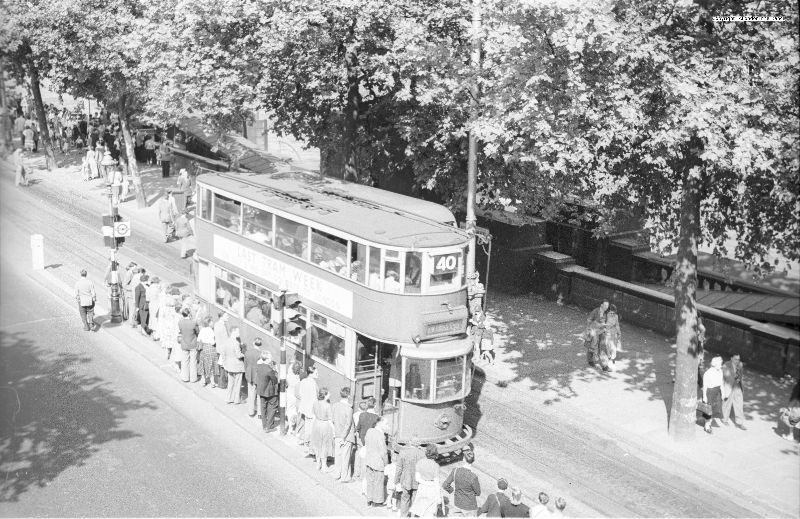 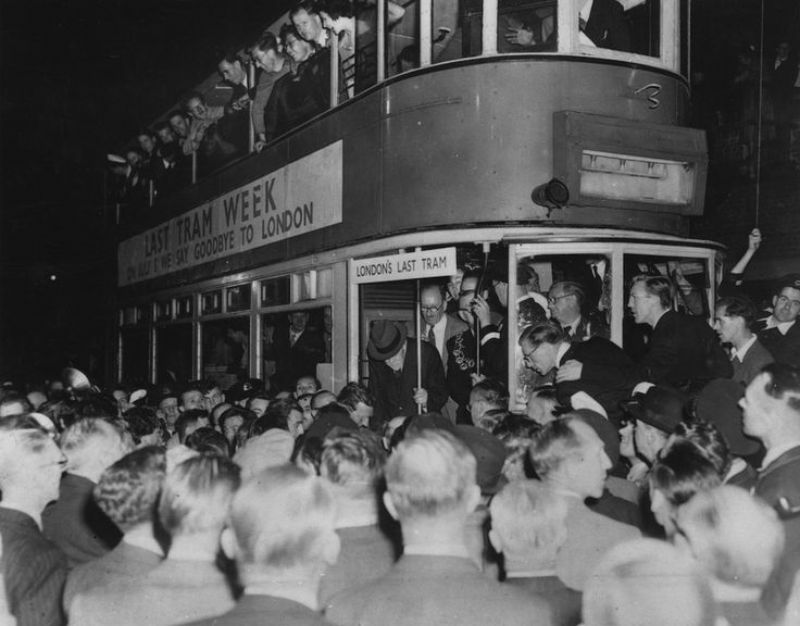 The tram's journey time was extended by almost three hours by crowds of cheering Londoners who surrounded it along the route from Woolwich to New Cross.